Dockmaster 4 FT. Green LED Dock Light - 120V | BUDK.com - Knives & Swords At The Lowest Prices! 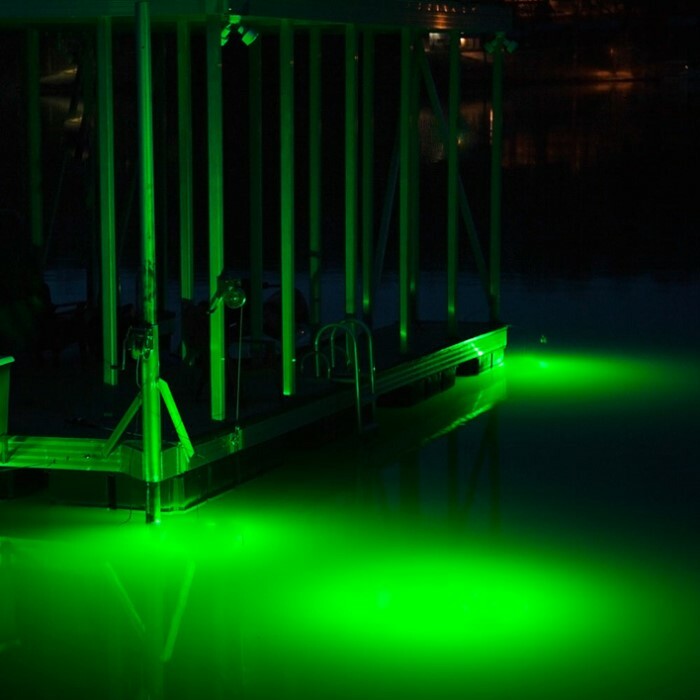 The Dockmaster 4 FT. Green LED Dock Light from Hydro-Glow Fishing Lights will enhance fishing, and just watching fish, right off your dock. The four-foot long light utilizes two rows of high-output, high-efficiency LEDs for maximum light output. 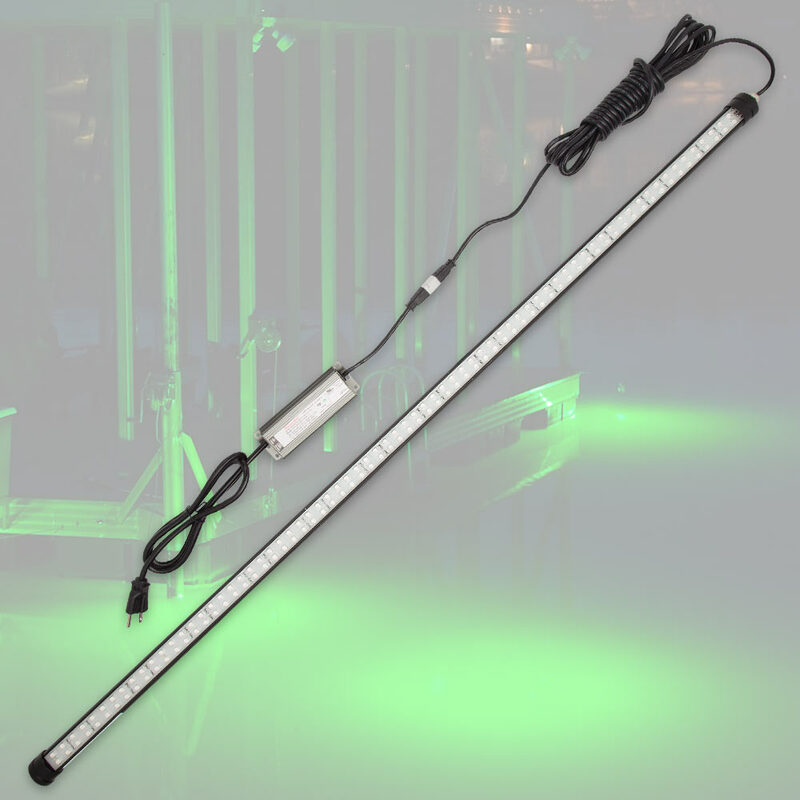 It features a 120V to 12V power supply, which provides safe low voltage power to the light, and its low profile allows it to be installed anywhere on the dock. Its mounting brackets are easy to install and the light simply snaps into place. A great feature is that the direction of the light beam can be adjusted by rotating the light up or down for the desired effect. The light projection from this model is more of a floodlight and will illuminate a broad area around the dock.